Instead of finding one, I found 40. 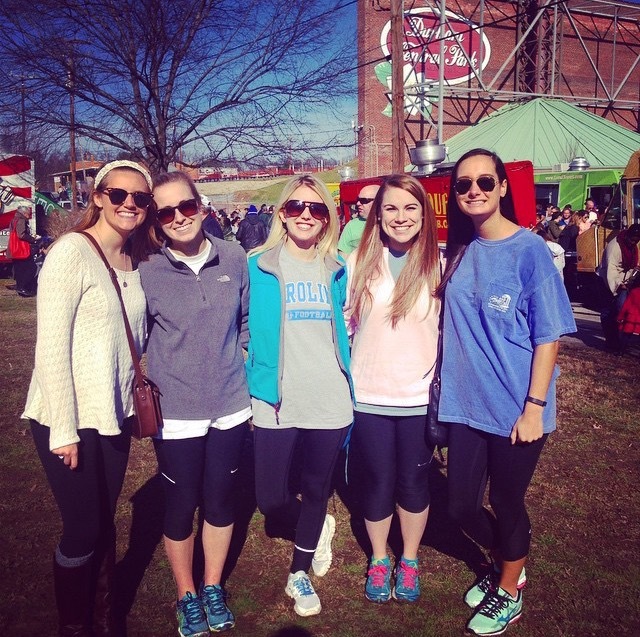 Yesterday I attended the Durham Food Truck Rodeo in Durham Central Park. Contrary to Saturday’s weather in my previous post on the Carrboro Farmers’ Market, some good friends and I were pleasantly surprised to encounter some idyllic conditions yesterday afternoon. 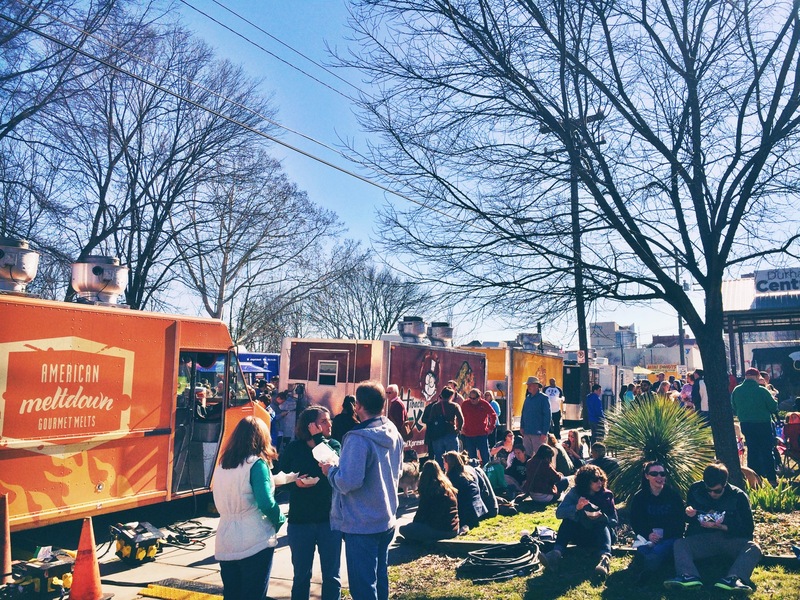 The rodeo is an all-ages Sunday afternoon gathering of dozens of the Triangle’s most popular food trucks, five times each year. There were countless food trucks and vendors at the event including Pie Pushers, Baguetteaboutit, Porchetta, American Meltdown, MaMaDuke’s, OnlyBurger, Chez Moi Bakery, and more. Local breweries were also present at the event, including local favorite Fullsteam Brewery and the up-and-coming Ponysaurus Brewing. 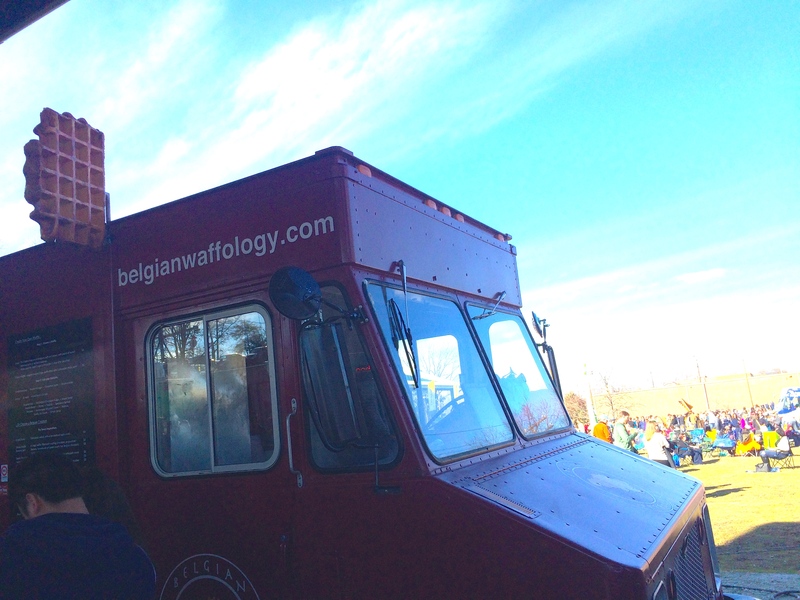 The truck I was most intrigued by was Belgian Waffology – a new food truck in town that offers authentic Belgian waffles with a creative, artistic twist. Unfortunately I couldn’t stomach the line – it appeared to be an hour at best. I couldn’t keep my eyes off its simple yet eye-catching design – I’ll definitely be back to try it out! First, I needed some lemonade to fuel my deliberation process. I stopped at Fahsyrah’s Lemonade and quickly guzzled down some homemade, fresh-squeezed lemonade. 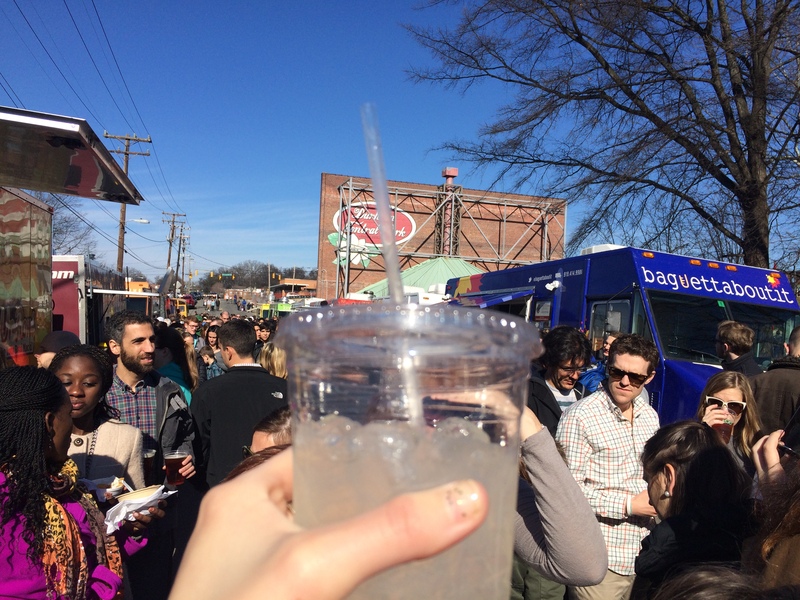 I continued my quest for the perfect food truck lunch – something unexpected that I couldn’t get anywhere else. After about 75 minutes of deliberation, I finally settled on my choice for lunch. I opted for some Louisiana cuisine – Baton Rouge Cuisine to be specific – and ordered some gumbo. 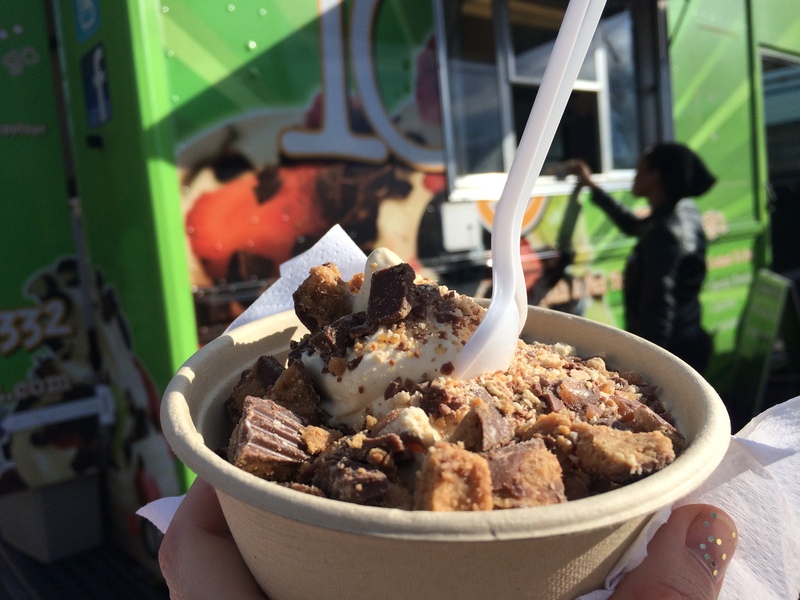 I didn’t regret my decision or waiting in line for a few minutes – the dish was outstanding. 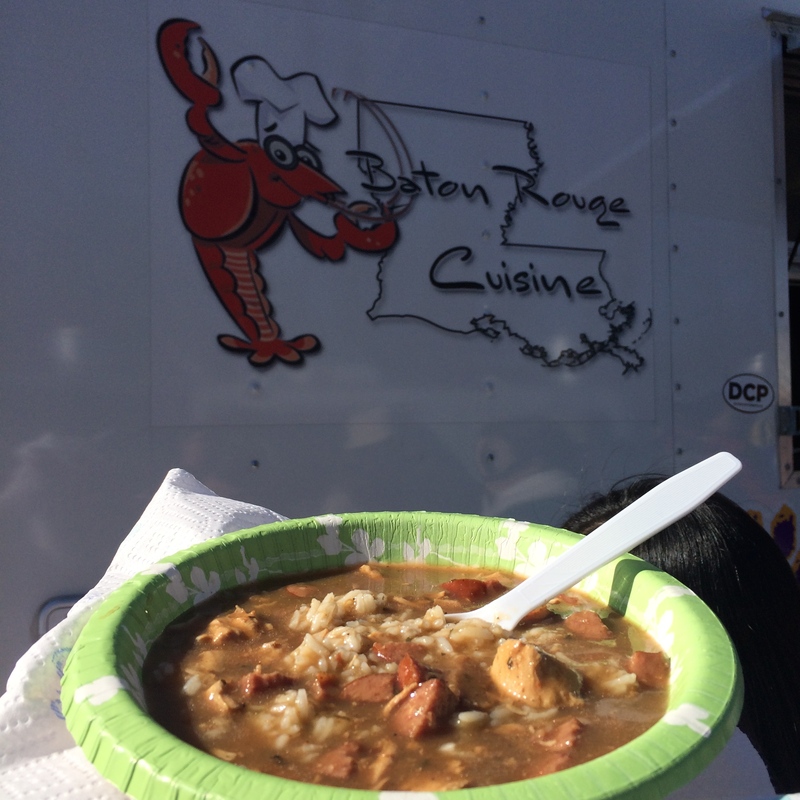 The Baton Rouge Cuisine food truck serves Cajun food to the Triangle Area and is owned by former Harlem Globetrotters Anthony “Airport” Greenup. I highly recommend the dish to anybody craving some Louisiana cuisine – it can be difficult to find in the Triangle area, especially in Chapel Hill. I wrapped up my journey with some Local Yogurt, and I didn’t back down. I ordered cake batter frozen yogurt with Twix and Reese’s toppings. Cheers. We wrapped up the outing after about three hours of wandering around Durham Central Park. 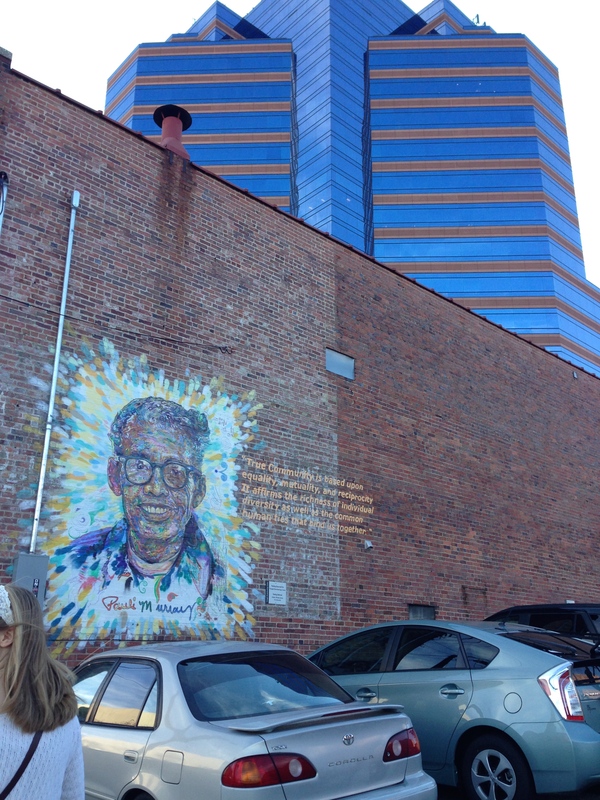 Every time I visit Durham, I’m overwhelmed by its sense of community. It’s gritty, growing, and unapologetic – and I love it for exactly what it is.